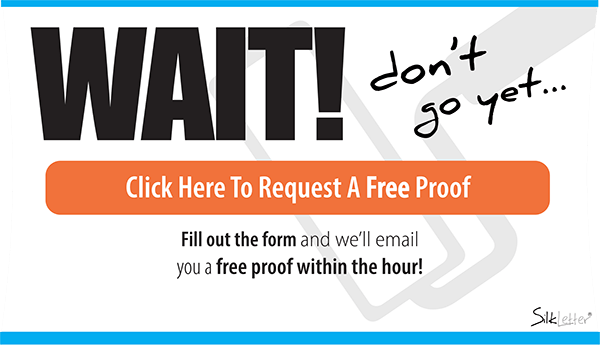 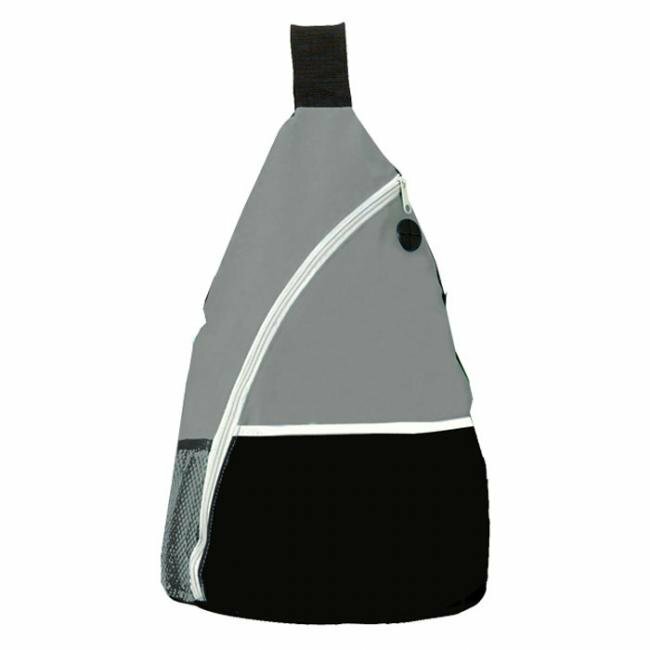 These custom promotional Sling Backpacks have an open front pocket and mesh side pockets making it more accessible. 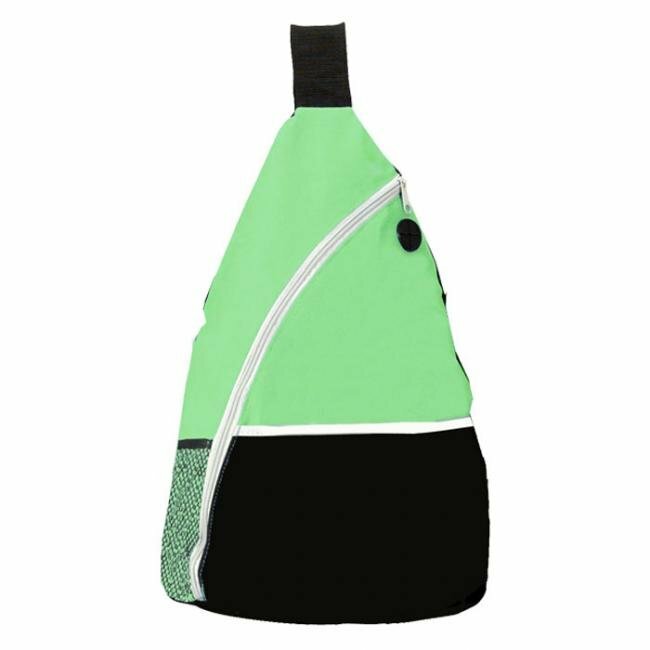 With classic color accents, green, grey, black and blue, these promotional Sling Packs will match any logo or design you may have. 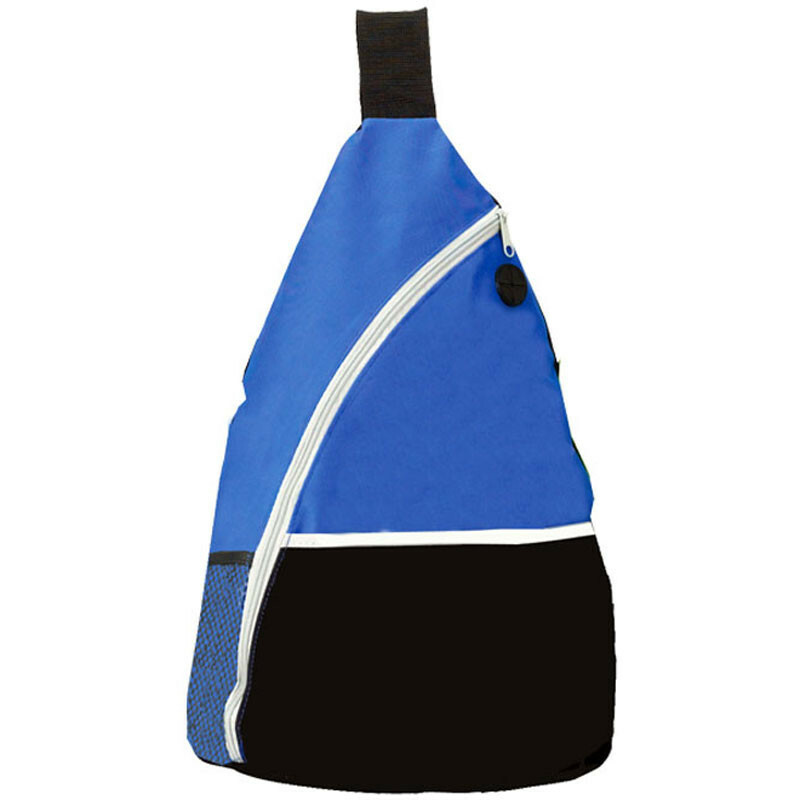 Constructed out of durable 600D Polyester, these custom Sling Packs not only strong but also lightweight too. 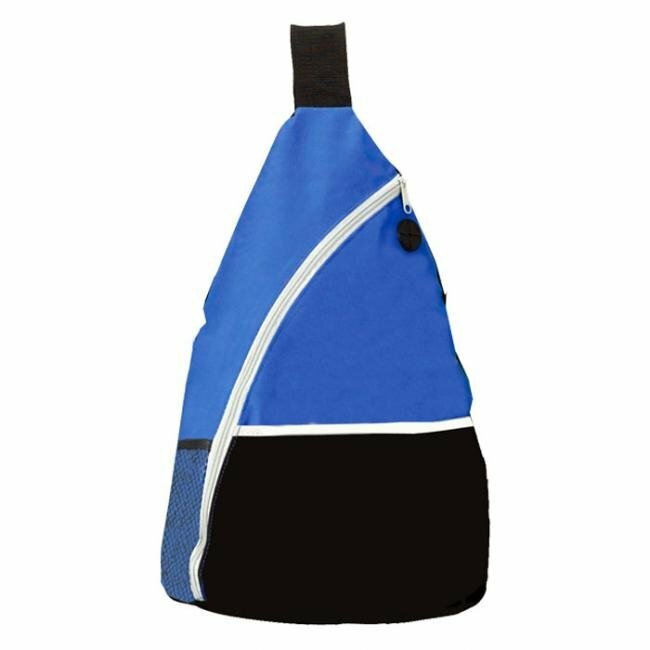 Weighing in at just 0.5 lbs., these custom sling packs are perfect for the gym, outdoor activities or everyday use.